Out of all the cities to visit in Turkey, some are more popular than others and for good reasons. They offer everything including an intense shopping scene, vibrant nightlife, priced hotels and many attractions or places of interest. Their diversity drives foreign and domestic tourism as every type of traveller from young to old, solo to groups flock to enjoy many highlights. From the east to the west, whether you want a 2-day quick break or a week-long holiday, our suggestions of Turkey’s greatest metropolis should appear on every bucket list. Its impressive record as the most visited place in Turkey reached an all-time high in 2018 as millions of visitors flocked to the former capital. Most tourists visit European Istanbul to explore Byzantine and Ottoman attractions like the Hagia Sophia, Topkapi Palace and Blue Mosque in the UNESCO Sultan Ahmed area. Istanbul also has a brand-new airport, with frequent flights from around the world, making it easy to get during summer and winter. 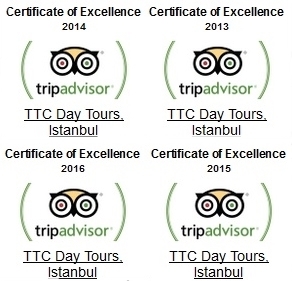 Read our 5-day itinerary for an Istanbul mini tour. Sitting on the western coast, Izmir is Turkey’s third largest city and nicknamed the Aegean Pearl., as a bustling metropolis, its shopping and nightlife scene is ranked, but other activities include exploring the old quarter, agora and castle ruins. Families also love Izmir Wildlife Park. Izmir is a hive of activity every month but if you visit during summer, extend your trip by two days to visit nostalgic and cute coastal villages like Alacati, Cesme and Foca. Many people visiting Izmir, also take a slight detour to see the fabulous ancient ruins of Ephesus, the second greatest Greco-Roman city. Ankara, the capital of Turkey, attracts many travellers on around the country tours. Presenting an informative look into the history of Turkey, the main attraction is Anitkabir, the mausoleum of the Turkish Republic founder, Mustafa Kemal Ataturk. 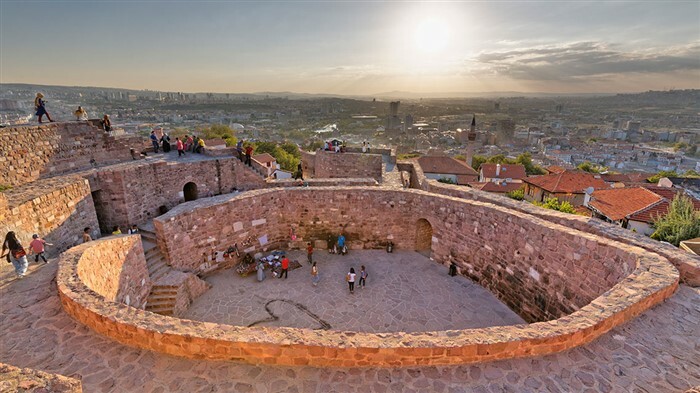 Ankara castle, with its 360-degree panoramic views, is the other top visited attraction, otherwise, for those who don’t like shopping or partying until the early hours, many museums and historical mosques are open every day. On the outskirts, the Ottoman village of Beypazari is another quaint destination with a different ambience from Ankara’s urban city landscape. 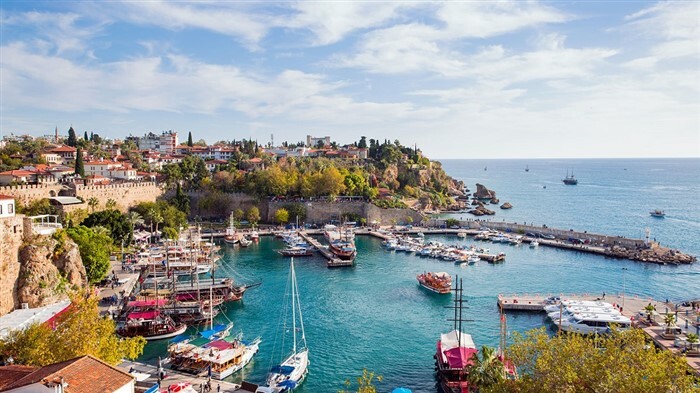 Antalya, the second most visited destination has two advantages., its centre, a fantastic collection of modern and new architecture has a cosmopolitan feel about it. Second, the Lara and Konyaalti beach districts also make it an ideal beach holiday destination. The old quarter (Kaleici) is a top tourist attraction boasting of Ottoman houses, Hadrian’s gate landmark, ancient mosques and quaint seaside restaurants. However, it’s possible to spend a whole month in Antalya and still run out of time. Go golfing in Belek, ascend in Mount Tahtali’s cable car and marvel at the Aspendos ancient theatre. All are within a short drive and open year-round including winter. In summer, road trip surrounding coastal resorts like Kemer, Cirali, Side and Kas on a three-night trip. 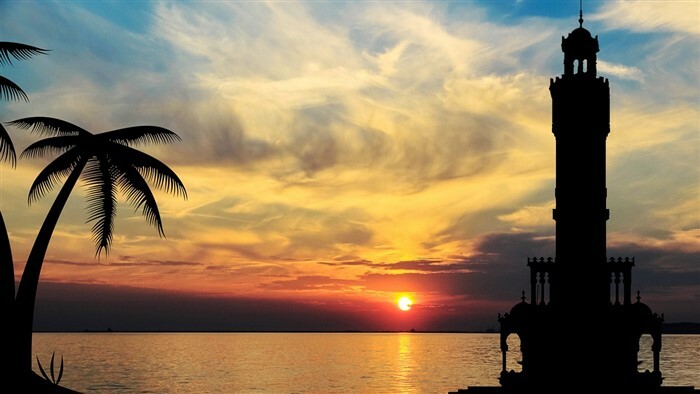 Find out the top ten things to do in Antalya here. 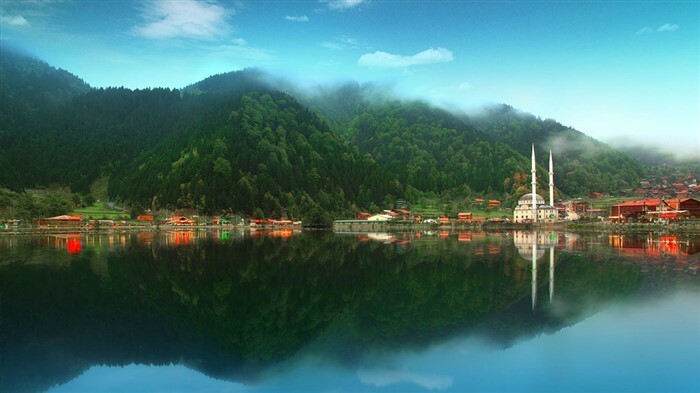 Ten years ago, Turkey’s mainstream tourism routes didn’t feature Trabzon, yet in recent years, its popularity, with middle eastern visitors is driving the city to new heights. 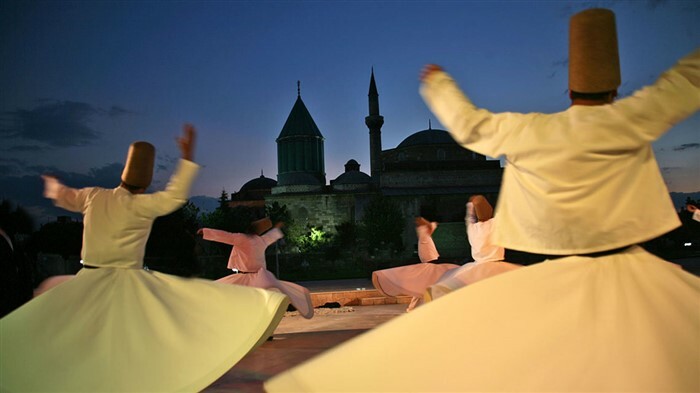 The centre is home to top attractions like the Hagia Sophia (not to be confused with the building of the same name in Istanbul) and Ataturk’s house. 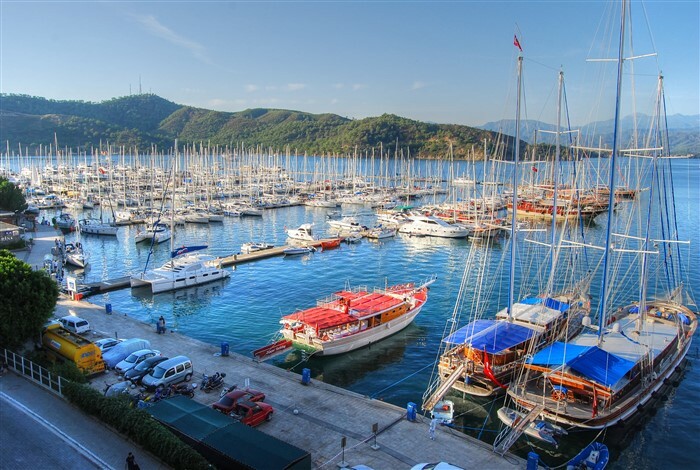 The mass popularity of this former town has boosted it to city status, but don’t think, Fethiye is just about urban living because it still keeps much of its seaside, coastal ambience. Explore the narrow, cobbled streets of Paspatur, the old quarter before strolling the promenade to arrive at the small, ancient theatre. Other attractions include panoramic views from the Lycian rock tombs and a small museum holding many ancient artefacts. The Greek ambience of Kayakoy ghost village is a short bus drive away, and in summer, take a 3-night gulet trip and see surrounding beauty spots like Butterfly valley, and Olu Deniz’s Blue Lagoon. Additional activities and suggestions of places to go are listed in our article about the top things to do in Fethiye. 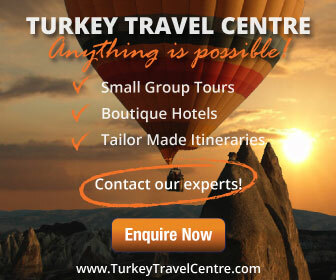 To make travel plans for major cities to visit in Turkey, or other destinations, our popular excursions and tour pages have many ideas, for summer and winter. We run guaranteed departures and sell a variety of itineraries to suit all age groups. For more information, fill in the enquiry forms listed on each tour page or call us today to speak to a representative who can help you plan your trip of a lifetime.